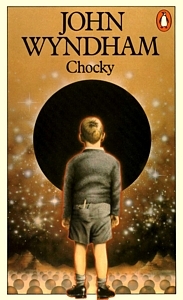 For Penguin to publish a set of ten titles by an author was an event of some significance that marked their entry into the pantheon of Penguin's most popular writers. The honour was bestowed on a number of authors over the years and the list of those elected to this elite group includes Bernard Shaw, H G Wells, Aldous Huxley and Agatha Christie. 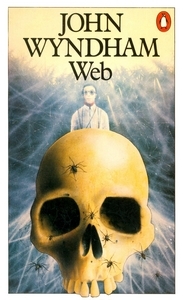 John Wyndham was another of Penguin's best-selling authors but his plinth remained empty until a decade after his death, when his estate released a posthumous novel called Web. 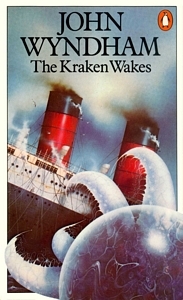 Penguin already had nine Wyndham titles on its backlist which were released, with Web, as a set of ten titles in 1979-80. Prior to this a colleague of David Pelham's at Penguin, John Hitchin, mentioned he had a nephew called Peter Lord who was studying graphic design at Middlesex Polytechnic, and he asked if Pelham would give the young student a chance to put theory into practice. Pelham agreed, and invited Lord to submit a cover treatment for The Day of the Triffids. 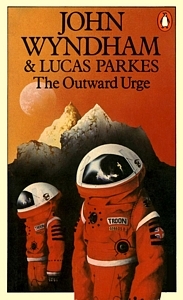 1979 reprint with cover art by Peter Lord. 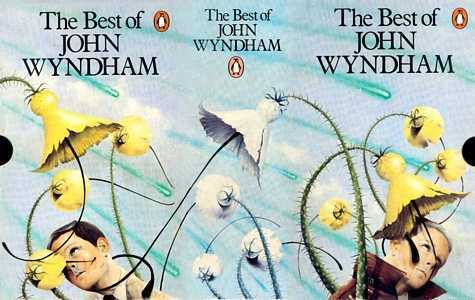 Penguin had been publishing Wyndham since 1954 but the introduction of pictorial covers in the 1960s had not done his books any favours, so Lord's treatment of The Triffids – a peaceful, almost pastoral scene, bathed in the colours of a warm spring day – came as a breath of fresh air. 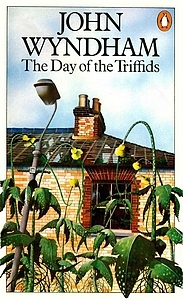 The cover shows a house from the viewpoint of a passer-by looking up through a loose line of leafy plants with drooping heads and flowers like giant buttercups. But a closer look reveals a false idyll, shattered some time in the past like the glass in the upstairs window, beyond which a room lies dark and empty. The house stands semi-derelict and lifeless, its roof tiles stripped and rafters exposed, its inhabitants corralled and killed by the carnivorous plants that have silently laid siege. 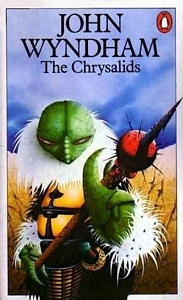 Pelham liked the cover very much and commissioned Lord to do the artwork for the other Wyndham titles. the five Wyndham titles shown above. 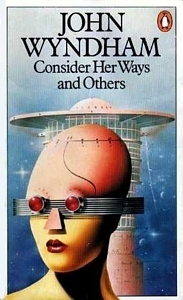 1980 reprint with cover art by Peter Lord. 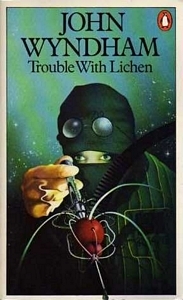 Published by Penguin Books January 1980 with cover art by Peter Lord. 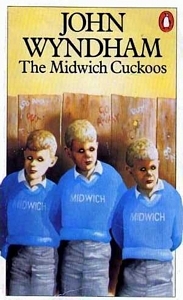 By the time all ten titles had appeared Peter Mayer was Penguin's managing director and David Pelham had resigned as art director, explaining later that when 'I overheard people in the marketing department referring to books as "the product" I knew that it was time to jump'. 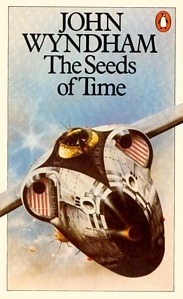 Meanwhile Peter Lord went on to produce a couple of sf covers for Pan and Sphere before moving into bookselling, where he works today.